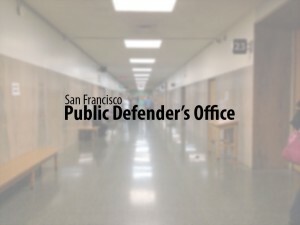 San Francisco, CA – Omeed Aziz Popal, 31, was found not guilty by reason of insanity by Judge Carol Yaggy today, at the Hall of Justice, 850 Bryant Street. Popal was facing attempted murder charges in connection with a series of alleged hit-and-run incidents involving sixteen people in San Francisco on August 29, 2006. The Court relied on two separate evaluations by court appointed doctors to find that Mr. Popal was legally insane at the time of the incident. Medical records show, without dispute, that Mr. Popal has a history of severe mental illness and suffered from auditory command hallucinations before, during and after the incident. Within six months prior to his arrest, Popal suffered two psychiatric breakdowns resulting in hospitalization and involuntarily commitments. Mr. Popal has been receiving psychiatric treatment in jail since his arrest two years ago. His current diagnosis is schizophrenia, paranoid type.